The inspiration for this renovation came from the home’s traditional colonial architecture and the close proximity to Moody Beach. The design goal was to create an efficient layout featuring open concept kitchen and dining. Originally, the C-shaped kitchen was dark and divided from the dining space with a large solid wall. The existing kitchen did not provide space for a dining area and the traffic pattern went straight through the small kitchen to the living room. Through the use of a large laminated beam, we were able to remove the load bearing wall and open the kitchen to the dining area. This allowed for better flow and views to the natural setting outside. 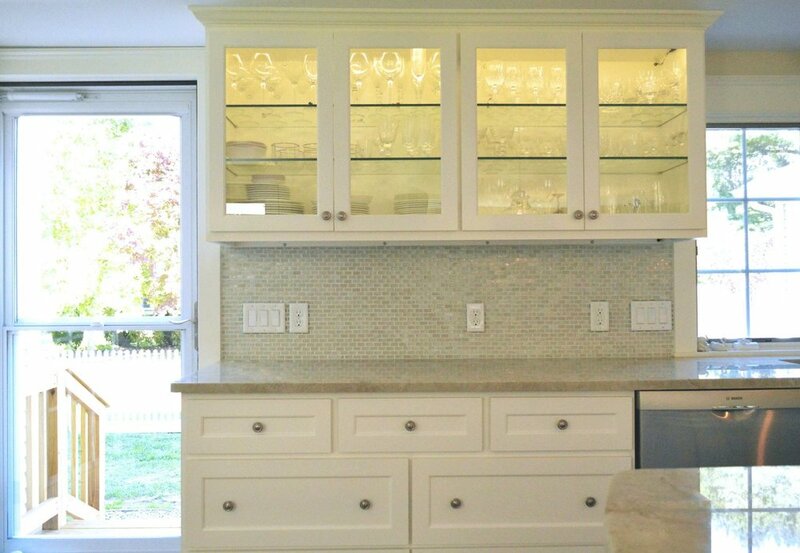 Custom white cabinets set the tone in this space for a classic and timeless kitchen. 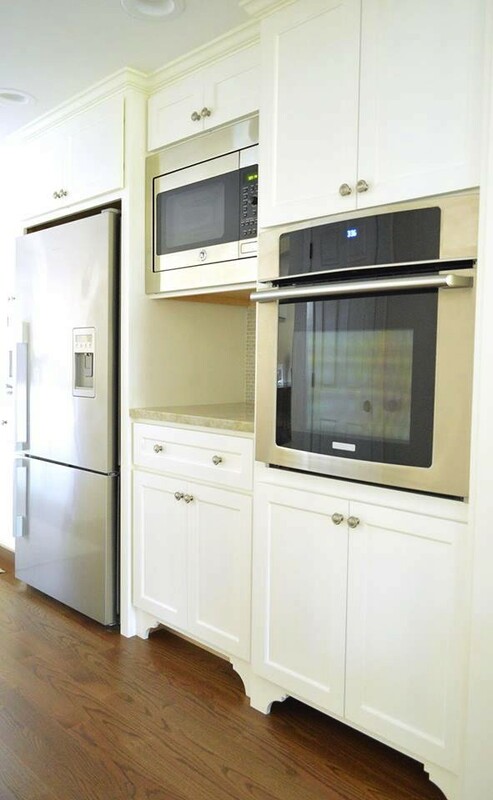 Custom appliance units help keep the appearance of this kitchen clean and tidy. 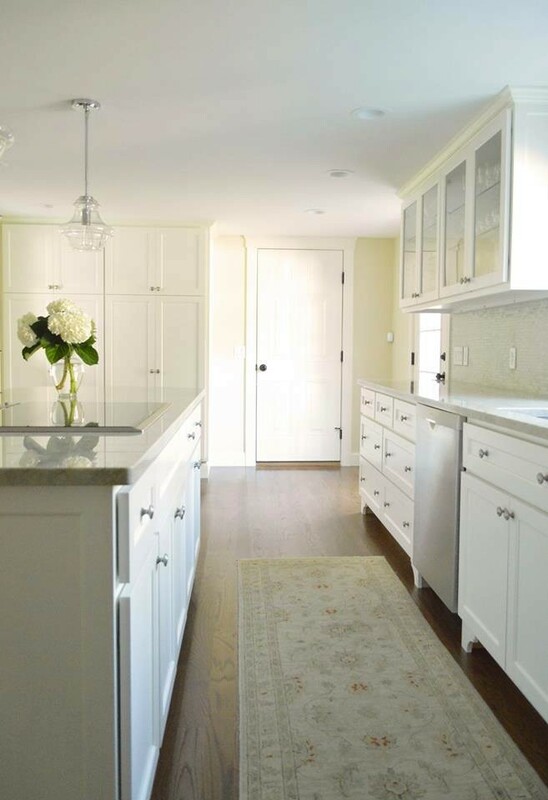 White cabinets are grounded by earthy brown oak floors. 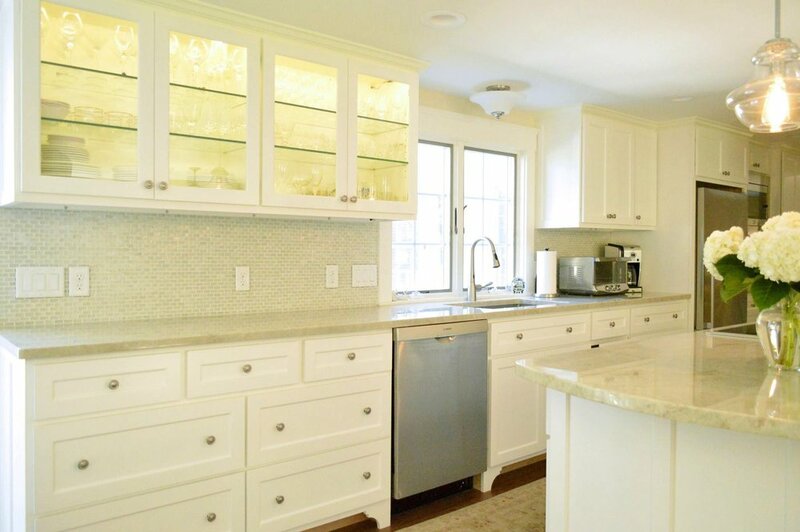 A traditional woven rug provides a softness and a compliment to the palette of the mother of pearl countertops. 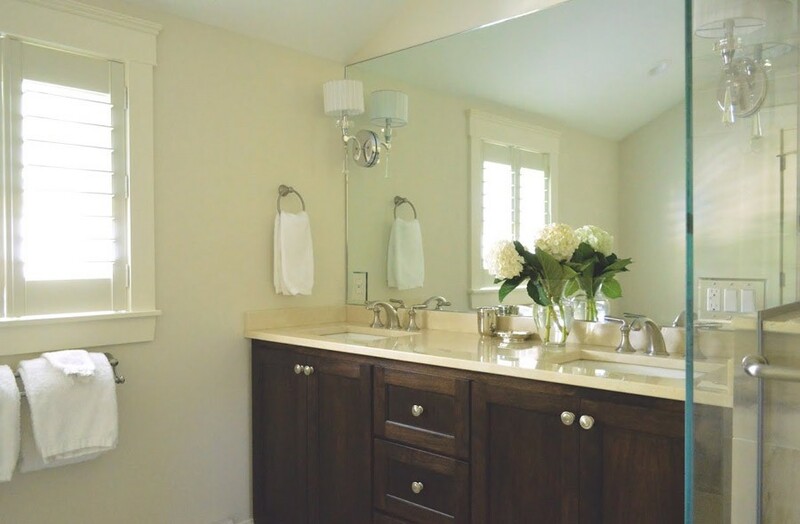 In addition to the first floor renovations, the clients required additional bedroom space and desired a master with en-suite and a custom walk-in closet. The home provided a semi-detached garage which allowed space to provide an entirely new wing for the clients, which included their own private suite. The end result was a spacious and light filled annex which allowed the clients their own private sanctuary.